When I started my blog, I really had no idea what I was doing. Thankfully, I signed up with Wealthy Affiliate and they have a great training program. The program walked me through setting up my blog and domain, learning about keywords and traffic and so much more! (If you would like to start a blog but are afraid you don’t know what you are doing, check out Wealthy Affiliate. It’s a great program and offers ongoing training and help and you can start for FREE). And did I mention it offers website hosting, keyword search and more! One of the topics they cover is social media but I didn’t really dig into social media at that time. A week or so later, I was talking with a friend who also has a blog and she asked if I used Pinterest. After talking a little with her, I decided that I needed to invest time into Pinterest. You may wonder why would I want to invest my time on Pinterest. Isn’t that for finding recipes, party decorations or how to make a craft? To be honest, that was my limited use of Pinterest in the past. I never realized how vast the scope of Pinterest was. Basically, Pinterest is a great combination of search engine and social media platform. Why didn’t I realize what a great idea that was before now? While Google offers specific searches and results, Pinterest offers more of a general search idea. But let’s be honest, who is sitting down on the couch, opening up Pinterest and not expecting to spend the next hour looking through colorful pins. I think people go to Pinterest when they don’t have that search term. For example, you may want to look up cleaning tips vs how to clean my microwave. Or maybe you want to find a chicken recipe but don’t know what flavor or other ingredients. So now that I realized what a huge platform Pinterest was, it only made sense to promote my blog on Pinterest. I was looking more page view on my blog and Pinterest offered that traffic. Now I just needed to figure out how to channel that traffic to my blog. So I changed to a Business account on Pinterest and off I went. I realized that in order to gain views, I needed to be pinning more than I was and being smart about it. First, before I could pin anything, I needed to make eye-catching pins. After all, if no one notices your pin in a sea of pins, it won’t matter how great your content is. A friend recommended Canva.com, so I gave it a try. It is so easy and straightforward to create beautiful vertical pins. They have a Pinterest template and lots of layouts to try for free! You can upload your own photos or use ones they provide. Remember that you can create multiple pins per blog post. Once you have created your pins, I recommend you hide your different pins on your post. I know that sounds strange to hide something in your post but it makes sense and this is why. When someone goes to share your post, it will bring up your different pins (and images) from your post and allow the person to choose which one they want to share. This is great because it allows you to have beautiful pins without having them load on your page. This will allow your page to load faster for your visitors. To hide your pins, just add a simple HTML code to your post. I normally add it to the very top or bottom of my post so I can easily find it. Here’s the code <strong><div style=”display: none;”></strong>ADD PIN IMAGES HERE<strong></div></strong>. So now I have pins and I know how to pin but I didn’t know how to pin. You need to make sure you are pinning your content to your boards, as well as re-pinning other people’s pins to your board. (They say you should follow the 20/80 rule. You should be pinning 20% of your content and 80% of relative content from other people’s boards). But there is more to promoting on Pinterest than just scrolling through your main Pinterest page and repinning random pins. While that is a great start, it will probably take you a long time to get followers and your pins getting out on Pinterest. While I was trying to figure out a Pinterest strategy, I came across Tailwind. Since there was a free trial version, I thought I would give it a try and boy was I glad I did! The free trial lets you schedule and publish up to 100 Pinterest Pins before you need to decide if you want to pay for the Plus plan. Now, you may be wondering why would you need Tailwind when you can pin for free. Let me give you some more information and then you can decide for yourself. I think probably the best advantage to Tailwind is the scheduling feature. 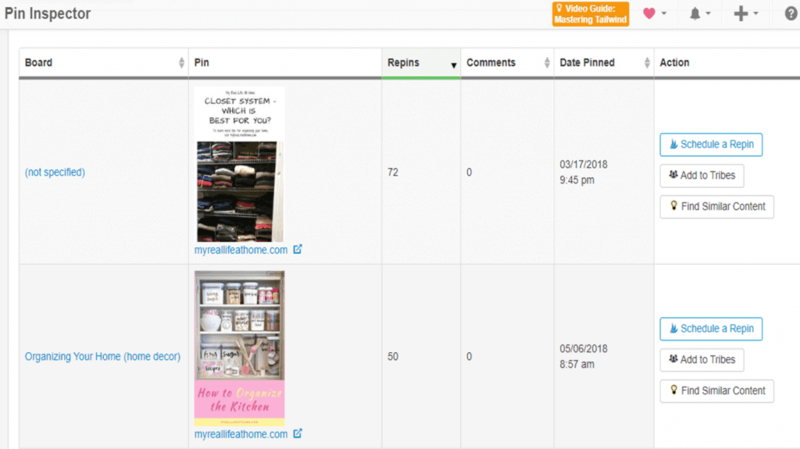 When you register and link your Pinterest account, Tailwind will analyze your account and pins to figure out when the optimal time is for you to pin. I can also add and remove suggested time slots or even create my own time slots. For example, Pinterest recently changed to give more weight to your first 5 pins of the day, so I added a couple early morning pins that I make sure are my own content. Since I still do some manual pinning through Facebook groups, I wanted to make sure that my content is always a part of that first 5 pins of the day. Now I can schedule pins out day by day or do a whole week in advance and then just go about my day and know that Tailwind is working on my behalf. Also, I use Chrome and you can add an extension that allows you to schedule directly through Tailwind from Pinterest. You are able to schedule immediately or save the pin for later. If you save the pin, it will be saved in your draft section in Tailwind. You can then decide exactly when you want the pin to be scheduled. If scheduling is the best advantage, Tailwind Tribes come in at a very close second. So while I now can schedule my pins, how can I increase the visibility of my pins? Obviously, if other people are re-pinning my content, my page views are not going to increase very quickly. Tailwind Tribes allow you to get your content out in front of other people with similar niches. Remember, you want to pin 80% of other people’s content and this is a great way to find that content. For this reason, I love my Tailwind Tribes. With Tailwind, you can search a keyword to help you find appropriate tribes and you can join up to 5 different tribes. The pins you want to re-pin should be appropriate for your boards, so it is best to search for similar boards to yours. When looking for a tribe, I would suggest looking for one with a high activity level. In my opinion, it doesn’t make a lot of sense to join a tribe where no one is sharing. 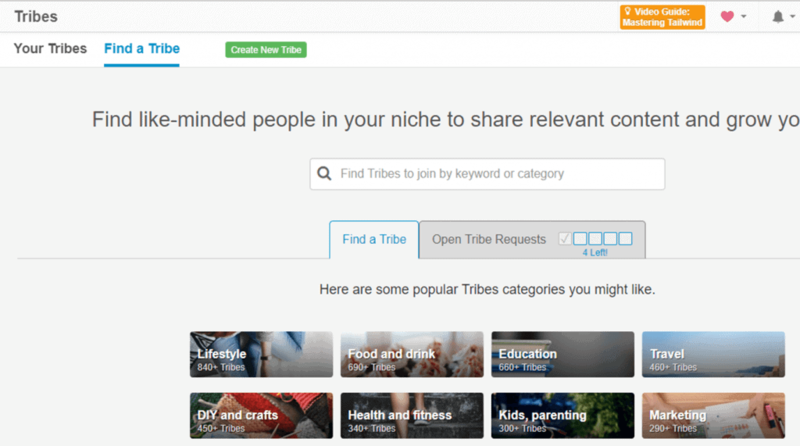 If you want more information about the tribe before you join, you can click on Preview Tribe. This will give you more information, such as tribe rules, how many members and the number of re-shares and repins. Some tribes you have to request to join, while others you can join automatically. Once you have found and joined your tribe, you can add your content to the tribe for all the other tribe members to see. 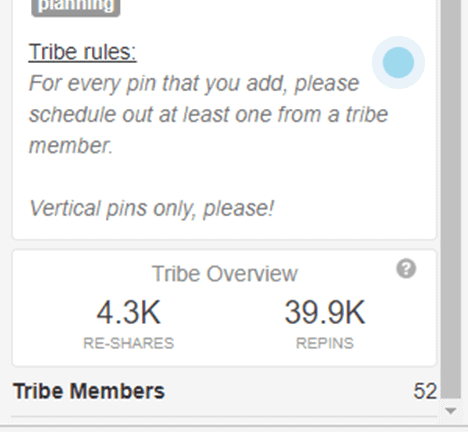 Each tribe has different rules but you will likely have to share at least 1 other pin for every pin you post. This is how you are able to get more visibility to your pins, which equals repins and re-shares. Another great feature of Tailwind is the analytics section. My favorite section is the Pin Inspector. 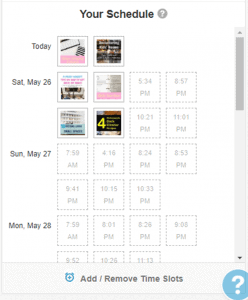 This allows you to see all your pins and how many times they have been repinned. This helps you see what pins are working and which ones aren’t. 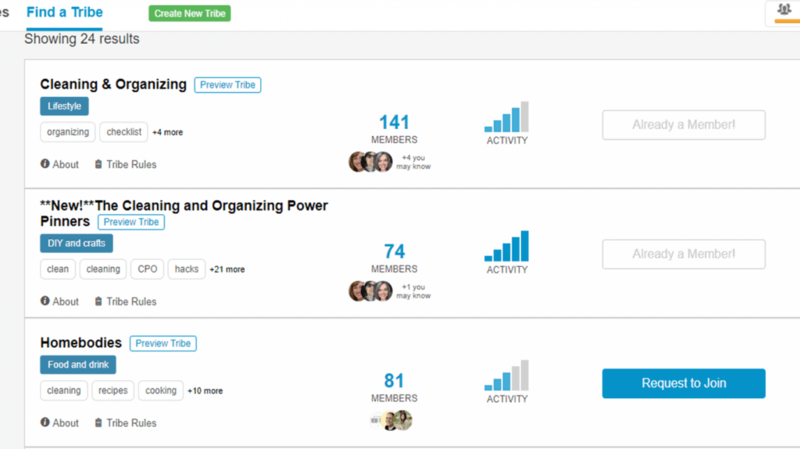 From that same screen, you can also schedule a repin or add it to your tribes. 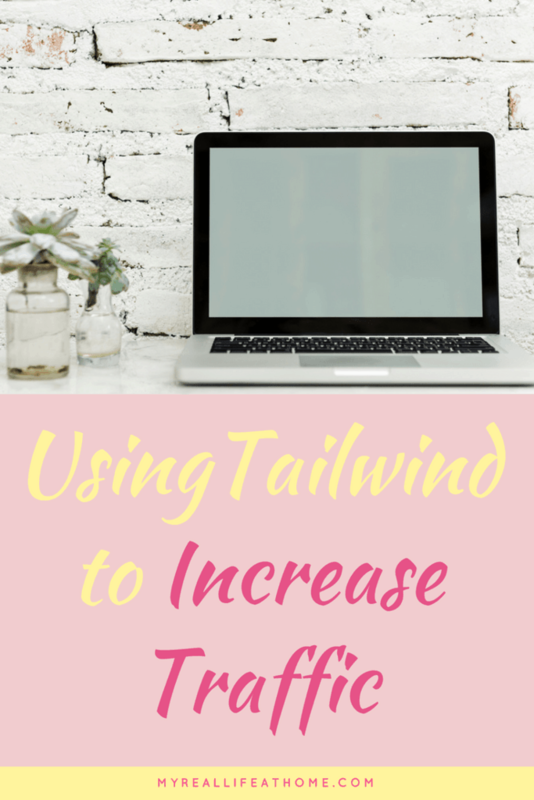 In the first couple weeks that I used Tailwind, my visitors and page views definitely increased and I know there are aspects of Tailwind that I haven’t even discovered. Another way I really increased my Pinterest visibility was through Facebook groups. I joined a few great Facebook groups that are geared towards encouraging and supporting women who blog. They are great for asking questions about anything related to blogging too. I know I am talking about Pinterest so what does Facebook have to do with it. Well, these groups have different promo days and some of them include Pinterest. For example, one day you can post your pin for others to repin. You then repin 10 pins from other members of the group. 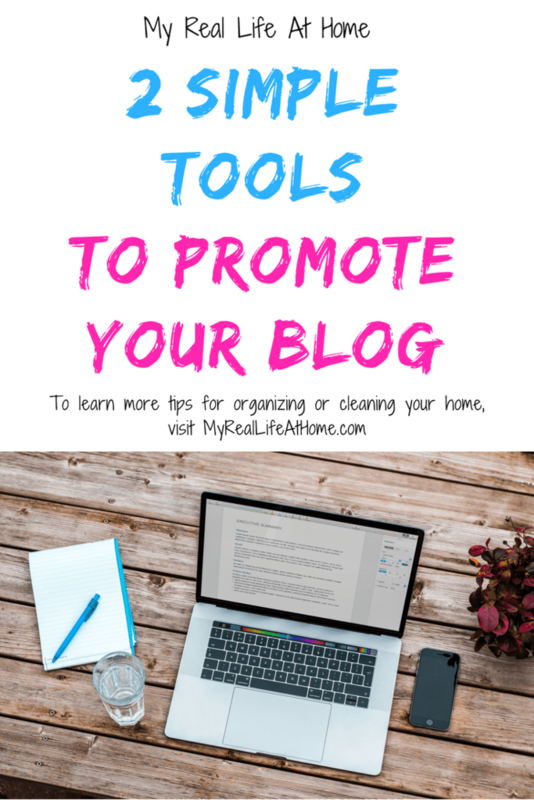 Again, this gets you great exposure and can connect you with other bloggers. Some also have Blog Comment posts which allow you to increase comments on your page which help with your search engine ranking. Two of my favorite Facebook Groups for Bloggers are Blogging With Heart and Pinterest Ninjas. Now that you have done all this work in getting people to your Pinterest profile and blog, you want to make sure it is easy to share your blog post. I have found that the easiest way to do this is with social buttons. I use the AddToAny Share Buttons plugin but there are a bunch of different plugin options. Just find the one that suits you best. I have my social buttons on the right side of the page and they scroll with you. If your reader wants to share your post, it is super easy for them as the social buttons are right there. I recently discovered MiloTree as another valuable resource. MiloTree allows you to easily add a pop-up to increase your social presence whether you are using Pinterest, Facebook, Instagram or growing an email list. You can choose what platforms you want the pop-up to show and then your visitor can simply click the link to follow you etc. My Pinterest followers have increased since using MiloTree. You can do a free trial, but it is a great price at $9/month. If you are interested in trying it, you can visit MiloTree to sign up or for more information. Do you have other methods for promoting on Pinterest? I would love to hear them or if you have any questions, please let me know by filling out the comment section below. You may wonder why would I want to invest my time on Pinterest. Isn’t that for finding recipes, party decorations or how to make a craft? To be honest, that was my limited use of Pinterest in the past. I never realized how vast the scope of Pinterest was. Basically, Pinterest is a great combination of search engine and social media platform. Why didn’t I realize what a great idea that was before now? While Google offers specific searches and results, Pinterest offers more of a general search idea. But let’s be honest, who is sitting down on the couch, opening up Pinterest and not expecting to spend the next hour looking through colorful pins. I think people go to Pinterest when they don’t have that search term. For example, you may want to look up cleaning tips vs how to clean my microwave. Or maybe you want to find a chicken recipe but don’t know what flavor or other ingredients. So now that I realized what a huge platform Pinterest was, it only made sense to promote my blog on Pinterest. I was <strong>looking more page view on my blog and Pinterest offered that traffic</strong>. Now I just needed to figure out how to channel that traffic to my blog. So I changed to a Business account on Pinterest and off I went. I realized that in order to gain views, I needed to be pinning more than I was and being smart about it. First, before I could pin anything, I needed to make eye-catching pins. After all, if no one notices your pin in a sea of pins, it won’t matter how great your content is. A friend recommended Canva, so I gave it a try. It is so easy and straightforward to create beautiful vertical pins. They have a Pinterest template and lots of layouts to try for free! You can upload your own photos or use ones they provide. Remember that you can create multiple pins per blog post. While I was trying to figure out a Pinterest strategy, I came across Tailwind. Since there was a free trial version, I thought I would give it a try and boy was I glad I did! The free trial lets you schedule and publish up to 100 Pinterest Pins before you need to decide if you want to pay for the Plus plan. Now, you may be wondering why would you need Tailwind when you can pin for free. Let me give you some more information and then you can decide for yourself. Now that you have done all this work in getting people to your Pinterest profile and blog, you want to make sure it is easy to share your blog post. I have found that the easiest way to do this is with social buttons. I use the AddToAny Share Buttons plugin but there are a bunch of different plugin options. Just find the one that suits you best. I have my social buttons on the right side of the page and they scroll with you.<strong> If your reader wants to share your post, it is super easy for them as the social buttons are right there</strong>. I recently discovered MiloTree as another valuable resource. MiloTree allows you to<strong> easily add a pop-up to increase your social presence</strong> whether you are using Pinterest, Facebook, Instagram or growing an email list. You can choose what platforms you want the pop-up to show and then your visitor can simply click the link to follow you etc. My Pinterest followers have increased since using MiloTree. Thanks for sharing your insights and wisdom on how best to use Pinterest. You’re welcome. I hope I was able to help you. Pinterest can really be a great tool for increasing traffic. You’re welcome. Glad I could help. Sometimes it takes joining a group to really see how it works. I have left a couple groups since they weren’t working out for me. There is definitely some trial and error but it is worth it when you find the right group. Thanks. I will have to look into that facebook group. I am still learning the ins and outs of Tailwind, but I can agree, it definitely helps. A LOT! I know. I’m excited to see what happens when I learn all Tailwind can do! I appreciate the thoroughness of this article. I haven’t tried Tailwind, but I’m bookmarking this for future reference. Thanks! I would say Tailwind is definitely worth a try especially since you can try for free! 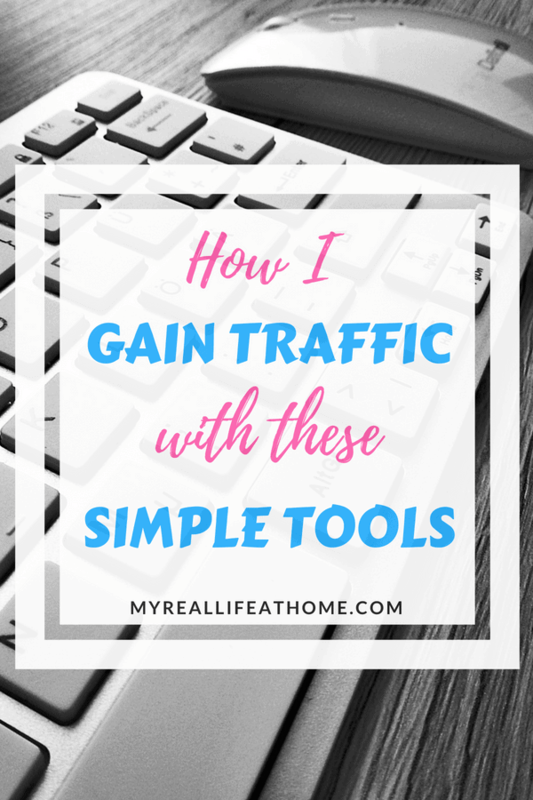 All great resources that have helped me increase traffic on my blog! Thanks for sharing. It helps to see that they truly work for others too! I recently started using pinterest for my business. Great tool to drive traffic! I’ll be looking into tailwind. Thank you for sharing! Glad I could help. Tailwind has definitely helped me. 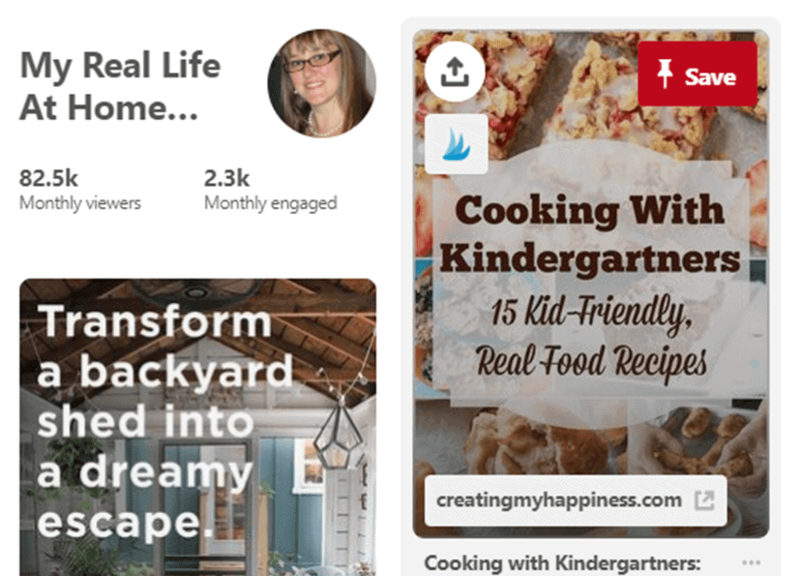 Pinterest is really the real deal for bloggers. I have used Tailwind and it is the best investment I have ever made. Maybe because I am a ‘lazy blogger’ but I really love the convenience. And yes, my blog traffic is doing good. I think we all can be a “lazy blogger” at times. Like you, I love that Tailwind does the work for me. I love using Canva and I know there is so much more I can do with. I created my simple logo using it and am going to use it to make a printable stand out. So much great info!! Thank you!! Need to definitely check out Tailwind! It’s a great tool. If you have any questions, just let me know. 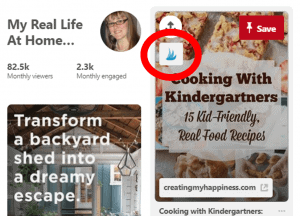 Wow, this post is jam-packed with all the amazing things Pinterest and Tailwind has to offer! I like that you mentioned how to hide pins – I always see this question popping up in Facebook groups! Thank you for sharing! Thanks! I was trying to share all my favorite tips. I really need to figure out Tailwind! I keep hearing people rave about it. I love it! If you have any questions, feel free to email me.